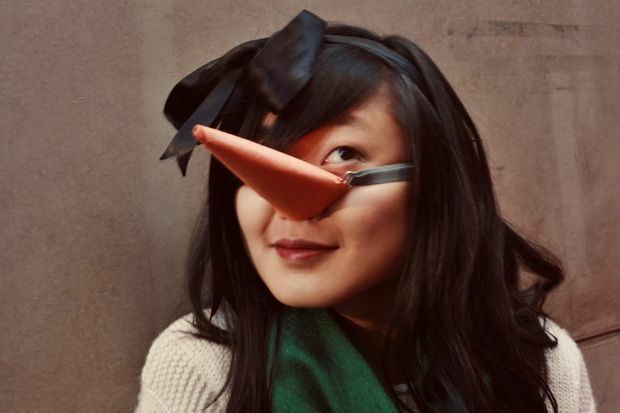 Yes, please take a look at my ridiculous cardboard carrot nose, which was constructed in 15 seconds flat. And yes, also notice that it's being held on by my bra strap since I didn't think to attached it to some string before heading out to the bars. This is a no judgement zone. 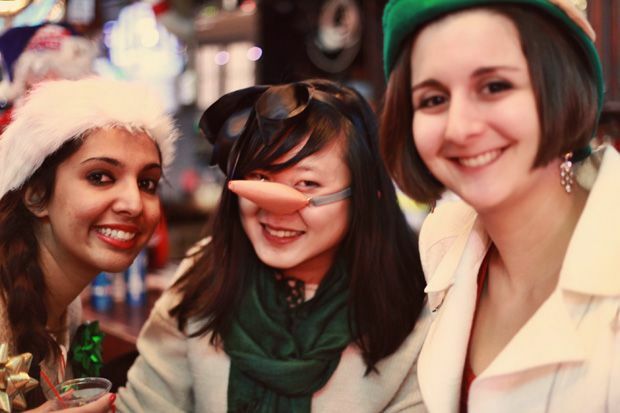 Now to explain why that nose even exists in the first place, I dressed up as a snowman for Santacon NYC this past Saturday. 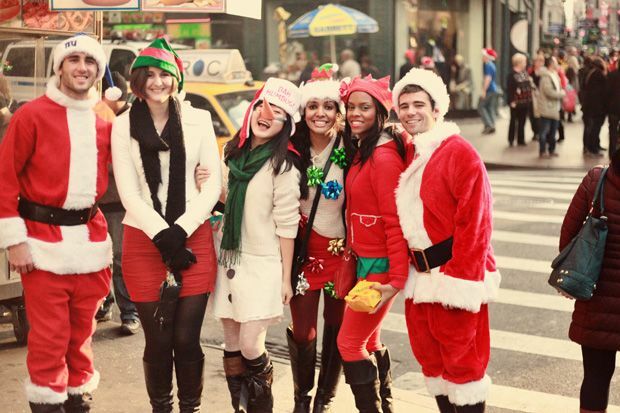 Santacon is pretty much a day where hundreds of people dressed like Santa, or other various holiday themed costumes, take over the city. Most people treat it like a giant, city bar crawl but the people behind the event really stress the charity aspect. All of the participating bars donate a portion of their proceeds to Toys for Tots and participants are encouraged to bring canned food to donate to local food banks, especially after the damage from Hurricane Sandy. 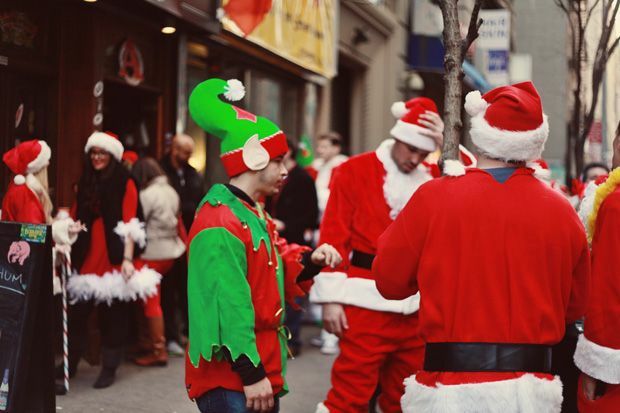 There's a lot of controversy when it comes to Santacon, especially since New Yorkers complain that the Santacon participants often get too drunk and ruin the city atmosphere for tourists and natives alike. I tried to keep my jolly celebrations within my group of friends and overall, I had an amazing time. 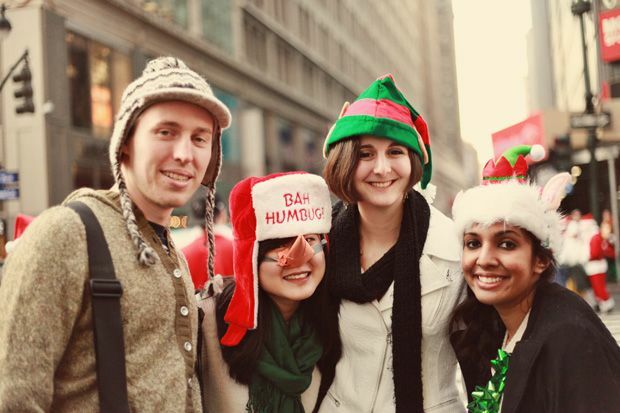 Did any of you go to a Santacon in your area? jen your nose is brilliant! hahaha! 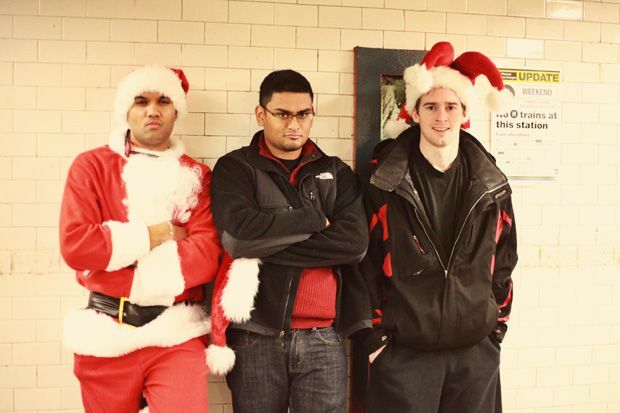 we always seem to miss out on santacon. we were driving through manhattan on saturday night and saw all sorts of santas, elves, and my favorite: a girl dressed as a gingerbread cookie. next year we are going to DEFINITELY do this and not miss out on a fun time. hahaha that nose is cracking me up, Jen! You've gotta be the cutest snowman I've ever seen. 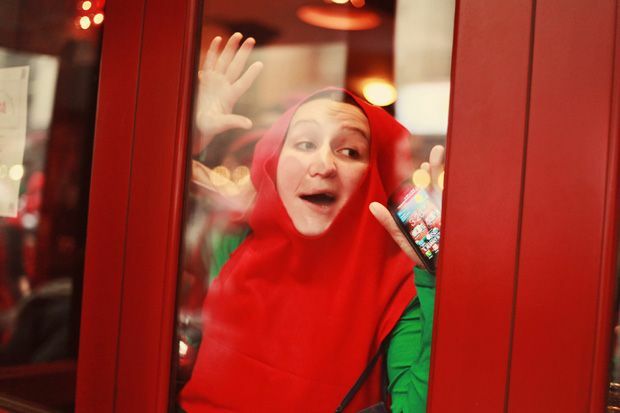 I'm glad that you participated in Santacon! I've never heard of/participated in it before, but now if I ever hear mention of it, it'll be something to look into. I hope you had lots of fun! I saw so many Santas on the path Saturday morning.. I was a little jealous since I was on my way to class! lol It looks and sounds like you had a lot of fun! My husband and I always talk about joining our friend and going each year! We just haven't done it yet. Our friend does it EVERY YEAR!! You guys look so fab and look like you're having so much fun! So awesome! I like the elf shoe in the bathroom...too funny! This sounds like so much fun! i'm glad you had a lovely time. And I love your snowman outfit! 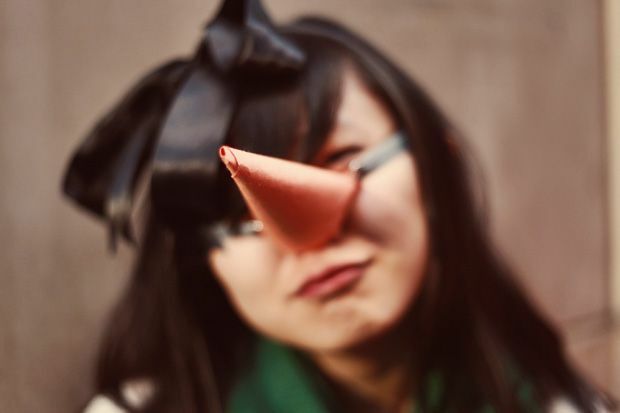 Your nose is. So. Cute. And this looks amazing. 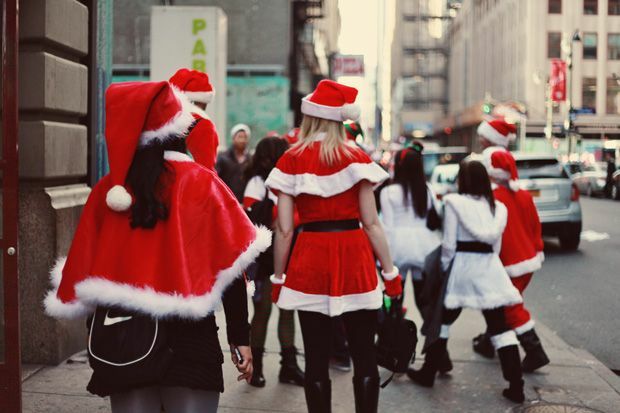 I have never heard of a Santacon before reading your blog. And now I want to have one. It looks like a fantastic party time. OMG Jen you look so cute and adorable. The nose just raises the cuteness factor to infinity. Seems you had loads of fun!